My family and I are preparing to move out of the city and into a more rural setting. As part of that move, I've been researching what sorts of internet service will be available to us. At our current residence we have a number of different options for high speed internet service. We currently use the U-Verse service offered by AT&T. We are using the 1.5Mbps service, which adds $15 / month in cost to our U-Verse television bill. Comcast also offers high speed internet service, and I'm sure we could get DSL from any number of folks. Go a few miles outside of a dense residential area and your options quickly become limited. Dial-up internet service is the old standby that hasn't changed in over 10 years. The top speed is still pegged at 56kbps (ignoring the "speed boosting" tech that some vendors claim). Depending on the service provider, rates run anywhere from $10-$20 / month. However, we don't plan on having a home phone, so add to this cost the price to install a home phone (around $25 / month with AT&T) for the sole purpose of using dial-up, and it comes to $35 or more per month for that sluggish dial-up internet connection. It would be useful for the most basic internet uses: browsing basic web pages and sending e-mail. Forget about online gaming or rich web media though. Compare this to our U-Verse service, which is the equivalent of 1,500kbps for $20 less each month, and it would be a serious step backward. There are a few satellite internet providers, Hughes and WildBlue being the most prominent. Hughes offers 1.0Mbps down, 128kbps up service for $60 / month, while WildBlue tiers their service at 512K down / 128K up for $50, or 1.5M down / 256K up for $80. Those are fine speeds, if a little pricey. The real gotcha here is latency. It used to be that with satellite internet you only received data over the dish, and all of your uploads were on your telephone line. Now you get both your up and down data from the dish, but the latency can be anywhere up to 5 seconds. Compare that to the typical sub 0.1 second latency of other internet connections, and it is a big downer. This makes the satellite internet service unusable for things like voice chat, VPN connection for working at home, or online gaming. Using a VPN connection and online gaming are high priorities for me from my internet connection, so that eliminated satellite from contention. Cell phone companies offer data plans for their users who have smart phones (Blackberry, iPhone, Android, etc.). This offers a fairly speedy (348kbps or faster) way to access the internet. Most carriers offer mobile broadband service with the intention that you use it occasionally with your laptop, not as your dedicated home connection. Across providers, the standard seems to be to offer up to 5GB of downloads per month for $60 / month. That may seem like a lot, but it really isn't when it is your dedicated connection for home. You can quickly exhaust that 5GB quota and start paying exorbitant rates per additional kilobyte downloaded. For example, let's say a new product revision is released, and the download is 1GB or more. If there are alternate versions, I could exhaust all 5GB in a single afternoon. The idea of these caps is to prevent folks from hogging the network with P2P applications, swapping movies all day, and to keep usage as intended: occasional use on a mobile device. The net effect for me is that cellular is not an option as a home ISP. I found microwave wireless service to be the best mix of speeds, price, and availability. There are several service providers that can provide service to our location. With microwave wireless you need line-of-sight to the tower providing the signal. A small antenna is mounted on your home and communicates wirelessly with the main tower. Depending on geography and tree line, these systems can offer service in a 15-30 mile radius around a tower. Prices vary by speed, with it ranging from $35 / month for 512K down, 256 up service to $90 / month for speeds over 1Mbps. There isn't a single dominant player in this market like there is in the national cellular market. The best deals I found were offered by a local company: Hoosier Broadband. The difference between residential service and business service is that Hoosier Broadband reserves the right to lower the priority of residential traffic in deference to their business customers, and business customers are guaranteed support within 24 hours. Residential customers are not. I'm not yet decided on whether I would choose the business or residential service. As the majority of my usage is late at night, I think the residential service should suffice, but given that I also intend to use this service when I need to work from home, the business service might be more prudent. Either way, I would be selecting the 768K service, which is half of what we get now from AT&T. A cut back, yes, but not a terrible one. Just a quick note on these services: they aren't available. In fact, you probably can't remember the last time (or ever) hearing about ISDN. When I contacted the phone company, they said they are not selling new connections, but only maintaining existing accounts. That's fine, as ISDN has all of the drawbacks of dial-up with a higher cost and only barely better speeds. FiOS would be awesome, but there's no chance of getting that in a rural area as it is too expensive for Verizon to pull new fiber down country roads for a handful of customers. Maybe someday DSL will be an option, but not now. I think that microwave wireless is one service that we will hear a lot about in the coming years. One of the president's major policy initiatives is to increase access to broadband internet service for rural Americans. Installing a tower for wireless transmission is one of the most cost effective ways to do that, and the FCC is in active talks concerning opening up more of our wireless spectrum for data traffic (this is a major reason why we had the recent switch from analog to digital television over the air). I'm hopeful that these changes will result in more options for me as rural internet consumer, and lower prices. Own an HP Mini 1000, or looking to buy one, and want to know what parts can be upgraded? I've been poking around to see what is available for this great little netbook, and here are some of the things I've found. The Mini comes with either 512MB or 1GB of memory. This is definitely the easiest part to upgrade. The documentation seems to suggest that 1GB is the max for this device, but mine took a 2GB Kingston DDR2 chip without any complaints. If you purchased with the SSD option, you probably received a 2GB "HP Mini Drive". This is actually just a Transcend JetFlash T3 with a small plastic piece to help it blend nicely with the body of the netbook. You could either order a larger unit from HP, or you could get an original Transcend unit. As of this writing HP is selling the 4GB for $24.99, while transcend has the same unit priced at $17.60. Transcend also offers an 8GB drive for $32.30, which HP does not currently offer. There has been a lot of chatter lately about cellular carriers offering discounted netbooks on a 2-year data contract. The HP Mini 1000 is poised to be a part of that offering. If you ordered yours with the WWAN card built in, you are already set. If not, you can still add one later. This video from jkkmobile demonstrates how to add a WWAN module to your netbook. Again, this involves taking off the keyboard and doing some pretty serious tinkering, so it isn't recommended for the faint of heart. The stock 3-cell battery will net you anywhere from 1 to 3 of continuous use, depending on your power settings and what you are doing. HP now offers a 6-cell replacement battery, available for order here. This one is a stickler. That funky connector on the left of the unit is where you plug in a propietary VGA adapter cable. Unfortunately, these are both in short supply and full of issues. Users who have the cable are reporting that it refuses to output anything but 1024x768 regardless of what display is attached. This is bad news for anyone hoping to connect to a projector. I love my netbook and I am getting a lot of great use from it. It is running Windows 7 RC1 like a champ, and I'm even able to do a little development in Visual Studio on it. So far I have only upgraded the memory, but I'm tempted to upgrade the Transcend flash drive. I'm holding off on a SSD upgrade until prices come down, but it is tempting as I currently only have about 1.5GB of free space on the main drive. Even with a relatively "stock" configuration, I find this unit to be a very nice, performant, and portable computing platform. A couple of weeks ago I picked up a HP Mini 1000 netbook. I had a couple of intentions for this netbook. Firstly, I wanted to use it for any personal network use wherever I went. Rather than using my work PC for checking account balances, personal e-mail, and other non-work related network uses, I would use the netbook instead. Second, I wanted a portable machine that I could do some light development on. Nothing complicated mind you, but just the ability to open up a small project, hack some code, and check that it compiles. After playing around with the netbook for a while, I can safely say that I am very happy with the decision to purchase it. Netbooks are the latest consumer trend in computing, and there are a lot of models out there. You'll find that they are all very, very similar. The typical unit has two or three USB ports, a 1.6GHz Intel Atom processor, 512MB or 1GB or RAM, and a small solid state hard drive, or possibly a traditional magnetic drive. Most come bundled with a simplified Linux operating system, or Windows XP for a slight price premium. With so many vendors and so little to differentiate them it can be difficult to settle on one. I chose the HP model mostly because the keyboard felt the most comfortable to type on. Otherwise, there isn't much to differentiate it from the other $350 10" netbooks on the market. I made some modifications to my netbook before even powering it on. First, I upgraded the RAM to 2GB, which only cost $20. Next, rather than use the provided Windows XP operating system I decided to load the beta of Windows 7 (with some help from my colleague Mike Hall who had done the exact same thing to his own netbook). I loaded Visual Studio 2008, Google Chrome, and a handful of utilities that I like. After install my 16GB SSD has about 1.5GB of remaining free space. I put all of my code on the provided 2GB "HP Mini Drive", and I still have two USB ports and an SD Card slot to expand memory further, if necessary. I'm very happy with Windows 7. Even on the relatively weak processing power of the netbook it runs like a champ. I definitely like it as a replacement for Windows XP. Visual Studio runs well, if a bit sluggishly, and I am able to compile projects as I had hoped. Still, this beta is eventually going to run out, and at that time I need to make a decision between paying for a license for Windows 7 (if it is available) or selecting some other operating system. I could always revert to Windows XP, which came with the unit, at no cost. Or I could try one of the linux variants on the market, also at no or little cost. A friend of mine tipped me off to the Netbook Remix of Ubuntu. Version 9.04 of the Linux OS just released, so I decided to download it and give it a try. One of the nice features of this release is that you can try it by loading it on a USB stick as a "live" OS, which means you can run it without wiping out the OS already on the machine. After playing with the netbook remix for a bit, I was impressed. I'm not ready to swap out my Win7 install, but when the beta expires it will definitely be something I consider. With MonoDevelop 2.0 and the Mono framework running I could probably still do some light C# work. One feature of the OS that I really liked was how UI works to maximize screen real estate for the foreground application. One of my frustrations with running Chrome (or any other browser) on Windows 7 is how much of my precious screen is taken up by title bars, menu bars, toolbars, bookmark bars, status bars, and task bars. With limited vertical space, it leaves only just enough room for my active application. This is exacerbated by sites like Google Reader that have a static header that cannot be minimized. In summary, I'm very happy with the utility I am getting out of my netbook, and I think Windows 7 is a solid OS choice for the platform. I'm impressed by what I see in Ubuntu Netbook Remix as well, and I may give it a try when my beta license expires. I've been considering some sort of network storage solution for some time now. We have three PC's in the house and our family pictures, videos, documents, and music are spread among them. Worse, we have only taken one backup of the pictures, and the rest are squirreled away in unknown folder levels of each of the machines. I wanted to change that. I had a couple of options in mind: a Network Attached Storage (NAS) device, a Windows Home Server (WHS), or setting up a share on my main PC. I came into a little luck and found myself with four 320GB hard drives, which significantly helped matters. One option I was considering is the Drobo, which is a USB / Firewire storage device from Data Robotics. 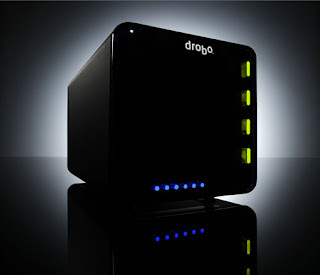 The Drobo is a box that can attach to your PC via USB or Firewire, and has slots for up to four hard drives. You can add hard drives in any pattern that you like, and as the system gets full you are prompted to add more storage. It uses a proprietary RAID format, offering some data security (if a drive fails, you won't lose everything). As far as simple solutions, this is tops. Just plug it in and insert your drives. The first generation unit is $350 and the current generation is $450. There is also an add-on piece for $200 that allows you to connect the Drobo directly to the network without any need for a PC to host it. In that form, it can truly be called a NAS. I also investigated other NAS products, including those from ASUS, IOGear, and Western Digital. Those targeted to the home and small office offered two drive slots and a reasonable price, while those targeted at businesses offered four or more slots but at a premium price. 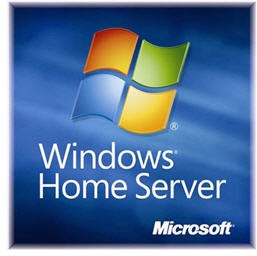 Windows Home Server is an interesting product that also had my eye. I've known a few people to have them and all have had positive experiences. One of the biggest benefits of a WHS over a simple NAS is that ability to take complete backups of all of the PC's on your network in an automated fashion. Once scheduled, you can competely forget about this operation that will take periodic snapshots of your PC's. If one of those machines should fail, just replace the busted drive and restore it from WHS. The hardware for a WHS machine is fairly cheap (can be built for around $300). Unfortunately, at that price point you are still looking at just a two drive setup. In the end, I decided to setup a RAID on my existing PC and share the drive to the network. I chose to use a RAID-5 configuration. There are several flavors of RAID, and each has it's own nuances. There is RAID-0, which alternates the usage of two drives in "stripes". The advantage here is that rather than pulling your files from just one drive, it uses both drives equally, improving performance. It provides no data protection though, so if one of those drives fails, you are toast. Next is RAID-1, also called mirroring. In RAID-1, two drives are used and are perfect copies of each other. As with RAID-0, both drives can be used when reading files, leading to better read performance (writing is slower though), with the advantage that if one drive fails, you don't lose anything. The disadvantage is that you only get one drive's worth of storage. Raid 0+1 is a combination of these two techniques that uses four drives. The data is striped across two drives, and each of these drives is mirrored, resulting in good performance and security in the case of drive failure. Still, you end up wasting two drives of data here. That's why I chose RAID 5. RAID 5 uses some special parity math and rotates the use of the drives to attain a nice balance between security, performance, and disk utilization. My RAID 5 setup uses four disks, and if any one of those disks fails I can replace it and not lose any data. (If two drives fail, I lose some data, so it is important to watch for a drive failure and deal with it immediately). With my four 320GB drives installed my RAID 5 setup provides just under 1TB of storage. Now that I've got it setup, I'm kicking myself for not doing this sooner. The drive performance is great, and it is nice to know that I have some security in the unfortunate event of a drive failure. My motherboard has six SATA ports, and it can have two RAID arrays. I'm considering modifying my setup to use a two disk RAID-1 for the operating system and applications and the four disk RAID-5 for all data storage. As cheap as hard drives are ($60 for 750GB!) it's seems silly not to take advantage of the security and performance afforded by a RAID configuration. The next thing I need to do is adhere to a regular backup schedule. A note: building the RAID (initializing it for the first time) took a long time. I kicked off the build process last night and it took just over 10 hours to complete. So if you are considering setting one up yourself, be sure to allow for that build time. A couple of weeks ago I posted an article criticizing Microsoft for the lack of innovation in Windows Mobile 6.5. Engadget has had a flurry of articles on the topic over the past month, and there is an interesting trend in the comments. Most commenters are getting into heated fanboi arguments over which is better: iPhone, WM6.5, WebOS, etc. To me this argument misses the point of the chief criticism towards Microsoft and the Windows Mobile 6.5 offering. The point is not to compare WM6.5 with iPhone and others, but instead to compare WM6.5 with WM6.1 and previous versions. Microsoft has stated that WM6.5 will probably not be available until the end of the year, and at that time will only be available on new phones. So the question is, is WM6.5 enough of an improvement over WM6.1 to purchase a new phone? It is clear to me the answer is no. There simply isn't enough new here to warrant upgrading a phone to get the new OS, especially when considering the high cost of smart phones with or without contract. Microsoft really needs to do something to breath new life into Windows Mobile if they want consumers to upgrade to a new phone to get the OS. I just read a post from @absenth referencing an article in Linux Journal about the relevancy of the OS. The crux of the article is that, due to the transition to Cloud Computing and Software as a Service, the host OS is becoming less important. Users are less concerned over the version of Windows or MacOS that the system is running, and more concerned with finding a good web browser and an office suite. This trend is most visible in the netbook arena where most offerings include a stripped down version of Linux at a reduced price. So is the OS relevant? If you were presented with a new laptop, and you had your choice of running Windows, MacOS, or Linux, would you have a preference? How much would you pay for your preference? I don't have any hard evidence, but I suspect that the average person would pick Windows if price were not a factor. That would be my choice. It would also be my choice when choosing an OS for a family member or non-technical friend. I know my family members are familiar with Windows, and familiarity means fewer calls to me for tech support. That's worth at least $30-$60 from me. On the other hand, I would choose the Linux variant for myself if it meant saving $100. I like the trend towards cloud computing, and I think it can only mean good things for consumers as the OS and hardware become less important. I tried a little experiment tonight. I wanted to see if my Artigo Pico-ITX machine could act as a Hulu client. I cleared off the machine and installed Ubuntu 8.10. After installing the flash plug-in for Firefox I pulled up Hulu and loaded a 30 second clip from Family Guy. The audio was perfect, but the video was very choppy. I checked the resource monitor and the CPU was just getting hammered. I guess I'm a little disappointed that even with a 1GHz processor and 1GB of memory, this little machine can't display streaming video. YouTube suffers from the same stutter. This is unfortunate, as I had hoped to connect this box to my HDTV as a quick and dirty web video streamer. The Mobile World Congress (MWC) is underway, and all your favorite cell phone makers are there pitching the future of their products. Microsoft is at the event in a big way to introduce Windows Mobile 6.5. This facelift to WinMo 6.1 is hyped as the new, touch friendly version of the interface. I'm not very excited about this update. I think MS is right to call this a 6.5 rather than a 7.0. There just isn't enough there. And to make matters worse, it doesn't achieve the goal of making the interface a one-handed touch only affair. When I first purchased my PDA, it was running Windows Mobile 2003 SE. I used the WM 5.0 upgrade when it was available, and recently upgraded to WM 6.1. So what has changed in the Windows Mobile experience in the last 6 years? Very little, to be quite honest. If you have an old Windows Mobile PDA collecting dust in a drawer somewhere you could pick up the WinMo 6.5 devices on display and feel right at home. The only significant change that I have noticed is that I am not required to soft reset my device on a daily or weekly basis anymore. Taking six years to simply get the device to work is a sorry excuse for progress. It is time for Microsoft to really rethink how to approach the mobile market. If not, Apple, Nokia, Palm, and others are going to bury them with the smart innovations they are putting into their latest phones. 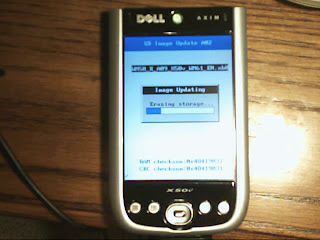 After I gave up my BlackBerry, I switched back to using my Dell Axim PDA. I'm very happy with it, and I'm having great luck with Windows Mobile 6.1 One thing that I have struggled with is to find a way to synchronize my mobile calendar, contacts, and e-mail with my Google calendar, contacts, and e-mail. Actually, I should not include e-mail, as that was always easy to do. You can synchronize either via POP or IMAP, whichever you prefer. So next up was calendar synchronization. My goal was to find a solution that would synchronize my work calendar with my google calendar, and both my Google and work calendars onto my PDA. The first app I tried for this was Google Calendar Sync for Mobile Devices (GCSfMD). 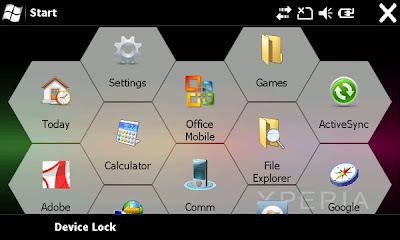 This is an application that runs on a Windows Mobile 5.0 or later device and synchronizes the calendar data on the PDA with the Google Calendar. The advantage here is that my work calendar would sync to my device, and then GCSfMD would modify the calendar to also include my Google Calendar appointments. Unfortunately GCSfMD is a one way sync. If I change an appointment on my Google Calendar my device is updated, but if I change an appointment on my device, the Google Calendar is unaltered. So my next attempt was to use Google Calendar Sync. Although the two have very similar names, they behave in very different ways. Google Calendar Sync synchronizes your Outlook calendar directly with your Google Calendar. It is a two-way sync, so if you update either your Outlook Calendar or your Google Calendar, the updates are synchronized between both. This is a great app, and I have gotten great use out of it the last few weeks. This left contact synchronization. There simply is no good solution for synchronizing Outlook Contacts and Google Contacts. Likewise, the only application that I found that will synchronize my mobile contacts with Google Contacts is OggSync. Fortunately, today Google released Google Sync. Google Sync works with Windows Mobile and iPhone devices to synchronize both the Calendar and Contacts with your Google data. Best of all, it required no installation on my PDA! I simply modified my ActiveSync setup to point to the Google Mobile server, and everything synced up perfectly. Why not just use the device web browser to check the Google sites directly? That would be perfectly acceptable...if my device were a phone. It isn't, and I don't want to pay the extraordinary rates carriers are asking for all you can eat data service. By synchronizing my device, the data is available offline. So even if I'm in the car I still have access to all my calendar, contact, and e-mail data. How do you merge the data? I still need Google Calendar Sync. Google Sync will sync your device data with your Google data, but it will not merge with your Outlook data. I still use Google Calendar Sync to merge my Google Calendar with my Outlook calendar. There is still no solution for merging my contact data, but I'm okay with this because I can live with only having my personal contacts on my device. Can I sync my device with both Google and Outlook? At this time, no. Windows Mobile and iPhone both restrict you to a single synchronization source. You'll need to decide how you want to approach it. For me, I've chosen to make Google my primary data provider, and I sync all of the other data with Google. You may prefer to sync with your Outlook data, in which case you will need to find alternative applications to sync up. In an ideal world, my device would sync and store all of my various calendars, contacts, e-mail, and data from as many sources as I wanted. Until then, the combination of Google Sync and Google Calendar Sync will fill the void. No need to restart your machine, just run the desktop gadget gallery and your gadgets will magically reappear. I use Visual Studio 2008 for my daily development. I've found these tools useful in assisting me. If you are a fellow developer, you might find them useful too. Source Code Control client for Subversion servers. Integrates into the windows shell, providing handy shortcuts for checkouts, updates, and commits. SVN client plug-in for Visual Studio. Allows you to perform SVN commands from within the IDE. Plug-in for Visual Studio that can automatically generate XML documentation comments. This is really handy. If your naming conventions are pretty good, it takes a pretty good guess at the appropriate comment. You just have to tweak it after it fills in the majority of the boilerplate. This is a help in so many ways. If you use NUnit for unit testing, it provides unit testing integration. It performs a much broader set of syntax checking for you than the default IDE does. Ever wonder how many of those using statements are really necessary? This will tell you. It also hunts down opportunities to simplify your code, and to eliminate potential bugs. Worth the license price, but if you don't want to pay it you can always use the "beta". Even though I develop on a Vista x64 platform, I've installed this set of tools for one reason: tail.exe The tail program included with this service pack works just like the UNIX tail command. It shows the last few lines of a file. This is very useful if you want to monitor a text log, or some other file that is being updated by an application. One of the most frustrating parts of debugging a multi-threaded app in Visual Studio 2008 is that the debugger will sometimes revert back to run mode. This happens whenever an exception is thrown in any thread, even if it is caught. This update for visual studio 2008 service pack 1 corrects that issue. This is a must have patch for anyone doing multi-threaded coding. Those are the main tools I've found useful. If there are any tools you feel like you can't live without, I'd love to hear about them in the comments. A little more than three years ago when I switched jobs, I used part of my signing bonus (yeah, remember those?) 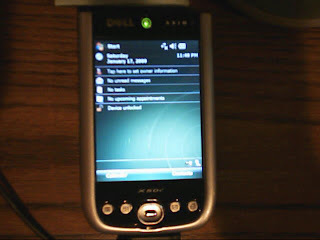 to purchase a Dell Axim x50v. At the time, this was the crème de la crème of PDAs. It had a true VGA screen (640x480), a powerhouse processor (624MHz) and oodles of built in memory (64MB). It had all of the ports and signals you could ask for: SD card, Compact Flash, Bluetooth, IrDA, and USB dock for PC. At the time of purchase, it was running Windows Mobile 2003 SE. 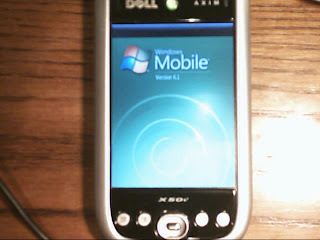 Windows Mobile 5 was just on the horizon, and Dell promised to make that image available to any Axim buyer. If you remember, my first one arrived DOA. Fortunately, my replacement arrived quickly. I loved this little device. I made daily use of it, tracking my calendar, e-mail, notes, and playing some music as well. There were a couple of irritations though. The biggest was the built-in version of Internet Explorer, which was just plain awful. The second was that the device had a bad habit of needing a soft reset about once a week. Fast forward roughly six months and Dell has a version of Windows Mobile 5 available. Anxious to see what the new rev offers, I requested my CD and received it that week. I loaded it up, and regretted it immediately. It crashed. A lot. I found myself constantly tagging the reset button on the back of the device. A few weeks later Dell issued a downgrade CD so that you could revert to 2003SE. I did that immediately. Not long after Dell quietly released a new build of WinMo5. The reviews from the users of the newer model Axim x51v were quite good, but apparently my model used a variety of memory that WM5 just didn't agree with. While it rang much better than Dell's initial release, it was certainly far from perfect. I stuck with it though, for two reasons. One - the new version of IE was an improvement, and Two - it was able to display Powerpoint slideshows. I continued to have good success with my Axim throughout 2006. The next year I was promoted, and as part of my promotion I started to carry a Blackberry. The Blackberry was doing everything I needed from the Axim, so I stopped carrying it. It became a toy for my son to play bubble breaker on. What a sad state for this gadget. If you've read my recent posts, you know the Blackberry is no more, so I dusted off the Dell. I was very pleased to find that it was still very useful. Still, the constant resets were driving me nuts. Dell is out of the PDA market. The x51v, their last hurrah, is three years old, and Dell never released updated ROMs for these devices. Microsoft has moved on with version 6 and 6.1 of there Windows Mobile platform. After a bit of searching, I found that there was still a niche group of avid Axim fans who had ported Windows Mobile 6.1 to their favorite PDA. Response to this hack were pretty good, so I decided to give it a shot. Here is a blurry-cam review of the process of flashing my device. I have no idea if this will be an improvement over my WM5 experience or not. I'll give it a few days use to see what happens. I still have my original Dell discs and I can flash it back to WM5, or even 2003SE. Hopefully this will result in a better experience with my Axim. I'll admit it, I'm hooked on Twitter. I initially scoffed at this simple social web app, considering it the stuff of pre-teen girls. Y'know, folks you normally think of as being "all a-twitter". I get it now. I think it appeals in the same sort of way that you find people addicted to their BlackBerry. It is information overload. One thing that appeals to me about Twitter is the eavesdropper aspect. I follow the hosts of my favorite podcast (ExtraLife). It's fun to see what they are up to each day, and it also gives a preview of the topics for the weekly podcast. Another appeal is getting regular updates from my friends. I've found a couple of my friends are on twitter, and it is nice to get a quick update from time to time. One friend in particular has family in Israel, and his tweets let us know if his family is in rocket range or not. Twitter is ubiquitous too. 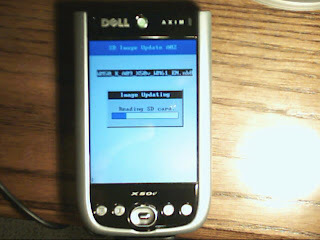 I can post an update from my cell phone (SMS Text message), from my PDA, or from any device with a web connection. On my PDA I've settled on using PockeTwit, which is really nice. I don't tweet from my phone, as that is a bit expensive on a pay-as-you-go plan. On my desktop I had been using Twadget, but now I'm using TweetDeck and find that I prefer that interface. Twhirl is pretty good too. CES is always a time to get a preview of a few of the products we'll be seeing throughout the year, and a lot of products we will never see. Over the past couple of years one gadget type that continues to gain ground is the small form-factor computing device. They go by a variety of names and come in a variety of sizes: Mobile Internet Device (MID), Ultra-Mobile PC (UMPC), and Netbook. In each case these devices are larger than a cell phone but smaller than traditional laptop. They are also less powerful than their deskbound cousins, but what you give up in power you often get back in battery life and portability. Netbooks look like the best bet to me. Essentially just a smaller, less powerful, more energy efficient, cheaper laptop, these devices are perfect for the average college student. Some come with a simple version of Linux, some run Windows XP, and some even run Vista. They are able to get all of the basics done: word processing, internet browsing, e-mail, etc. Most can be had for under $500, with some dropping below the $300 mark. This is perfect for the person who needs an inexpensive and simple way to get online. MIDs and UMPCs are a different story though. These devices sometimes run Windows XP or Vista, and sometimes not. They are smaller, and possibly more power efficient, but in almost every case they are more expensive than a basic laptop. I really can't see the market jumping on these as they just aren't practical. The idea is that you need something more than what your cell phone provides, but you don't want to carry around a laptop. With prices anywhere from $1,000 to $2,000 it is really hard to see where these devices make sense. One example of these devices is the WiBrain. It eschews a keyboard for the keypad you might find on your cell phone. It runs Windows. But would you really spend $700 or more on this rather than getting either a) a small laptop or b) an iPhone? I don't see it. For some reason, gadget industry is enamored with this device type. Sony just released the Vaio P, which they don't want to call a netbook, but it is. Unfortunately, it isn't going to be priced like a netbook (suggested price starts at $900). There is also the upcoming Viliv S7. In my mind these devices aren't going to catch on unless the prices come down to $500 or less. If you are spending over $500 it makes much better sense to buy a full blown laptop. Even when springing for all of the bells and whistles you would be hard pressed to spend more than $1,200 on a well equipped laptop these days. Compare that to the $2,000+ price that some of these MID and UMPC devices are asking, and the justification just falls apart. I would be interested in one of these devices if it could replace my Axim PDA, and only if it did so at relatively the same price as my PDA. Three years ago I paid $500 for the Dell Axim x50v. At the time, it was the most powerful PDA on the market, and I still use it today. 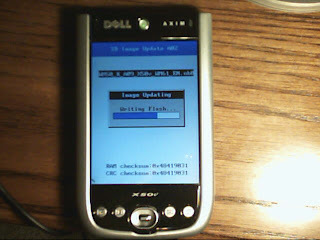 It runs Windows Mobile 5 (and some industrious hackers have made it run WM 6). It has hooks to supports bluetooth and WiFi out of the box, and you can add a GPS unit if you like. It compares quite favorably with the iPod Touch. To me, what I have seen of the Viliv S7 looks interesting as a replacement for my aging PDA, but only if the price is under $500. For more than $500, I would rather just get a small netbook (like an Asus Eee or MSI Wind). Working in a technology company, I get exposed to a variety of gadges: both those necessary for our work as well as the toys in the office the guys like to get. I'm surrounded by incredible cell phones with what I would say is equivalent computing power to most of these UMPCs, MIDs, and netbooks. The iPhone is the most common, with several folks also carrying around WM6 smart phones. There are even a couple of iPod Touch units in the office. Several also carry around a laptop or netbook from meeting to meeting. What I have never seen is a MID or UMPC. Who really buys these things, and why? I've been playing around with Twitter the last couple of days. I can see the allure: short form updates. It is much easier to send a 140 character or less tweet than it is to compose a blog entry. I think the two forms (blog and tweet) don't necessarily compete head to head, as a tweet is more useful for a status update and a blog is a better venue for elaboration. 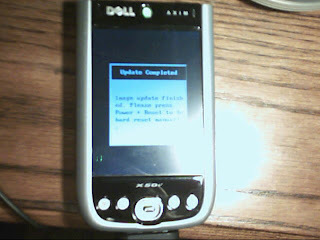 Since I'm back to using my PDA (Dell Axim x50v running Windows Mobile 5), I was looking for something that would allow me to track and post updates from it. I first tried Quakk. It certainly looked pretty, and it was able to pull in my friends timeline. A couple of things made me continue looking though. First, the Quakk interface looks great on the QVGA (320x240) screen of most PDAs, but on the true VGA (640x480) of my Axim all of the offsets were messed up. The bottom text was layered on top of the update text. Add to that the second issue: it wasn't able to send a tweet. Every attempt received the same error message, regardless of the update type. In searching for an alternative I tried PockeTwit. The screenshots really don't do this app justice. It has a very "iPhone" feel in that you can use your finger to scroll through updates. This app correctly pulls in my friend timeline and allows me to post updates. The interface is formatted beautifully on the VGA screen. The application is compatible with Windows Mobile 5 and 6 devices. If you are a twitterer and have a Windows Mobile device, I highly recommend it. You can follow me at http://twitter.com/JadeMason.